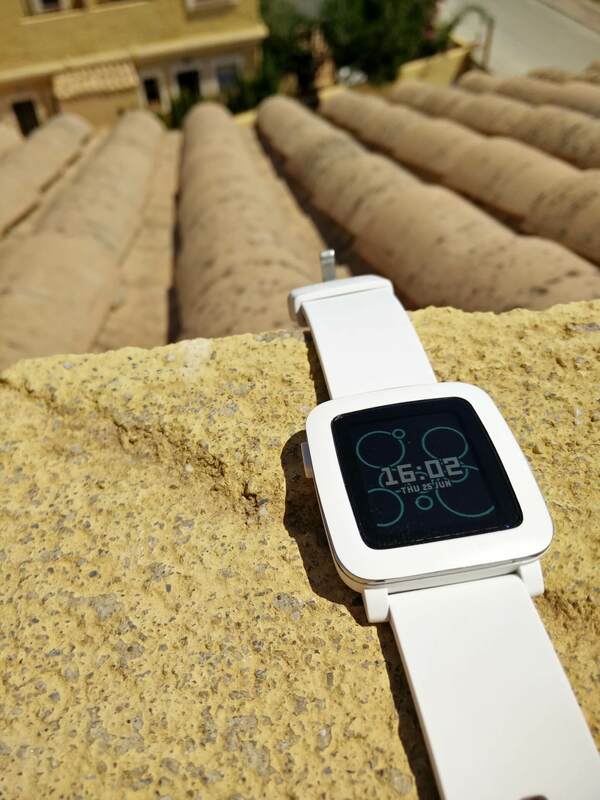 In 2013 Pebble released their original smartwatch after a hugely successful Kickstarter campaign. Fast forward two years and Pebble are back once again with the true successor to the Pebble Smartwatch – the Pebble Time. With increased competition from various Android Wear smartwatches and the Apple Watch, have Pebble done enough to make themselves stand out? 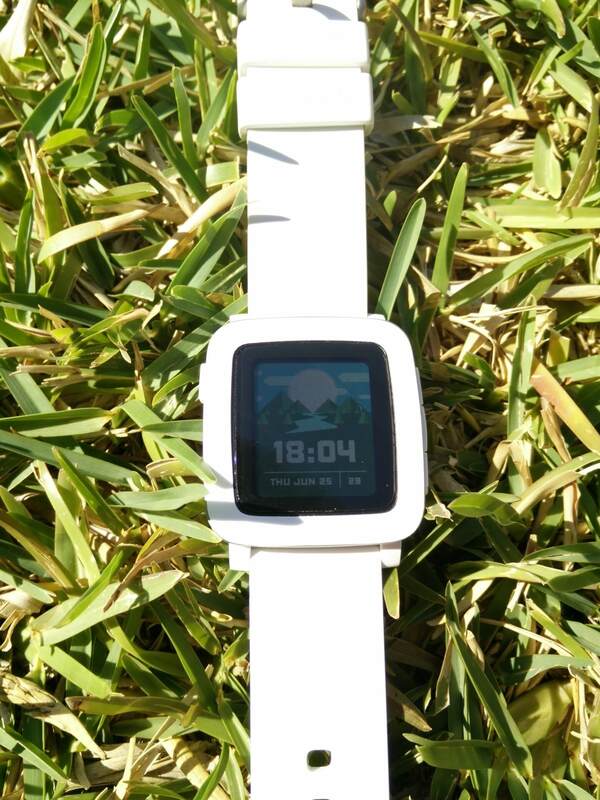 Charles gives his Pebble Time Impressions from his first week with the device. The PT is my first Pebble product, I skipped both the Pebble and Pebble Steel, but it’s not my first smartwatch. Last year I wrote about my time with the Moto 360; I was a fan of it. Over time the cracks begun to show, largely due to Android Wear as opposed to the hardware itself. The 1 day battery life was never an issue for me, charging it each night was fine. So I was keen to experience a smartwatch from a company which had already had 2 years of experience in the market. The Pebble Time uses an always-on colour E-Paper display. It’s certainly not the sharpest display, and the brightness indoors can sometimes leave a little to be desired, but it looks great outdoors in the sun and as a result means the watch provides roughly 5-7 days of battery life. That e-paper display is also always on, which means no tilting your wrist in the correct way just to get the screen to turn on – I can’t express how much of an improvement this made coming from the Moto360. The watch does feature a backlight for when it’s being used at night or indoors, enabled with a wrist shake/flick action or by pressing a button; whilst this does make the colours appear slightly washed out, it does the job. The PT is also waterproof up to 30m. The rest of the hardware isn’t going to win any awards for beauty. I like how it looks, but it’s not a fashion device, it’s a productivity device. That said, it does look significantly better in person than in photos. I decided to use a white matte wrap on my White PT along with a screen protector from GadgetWraps. Both were easy to apply and look great whilst most importantly protecting my PT from any knocks. The kind folk at GadgetWraps even sent me a replacement screen protector completely free after mine bubbled from contact with sun protection spray – awesome customer service! Using the Pebble Time has been great. You can tell these guys have already had a shot at creating a smartwatch. Gone are the software niggles I had with Android Wear. Notifications come through to my wrist with a light (but noticeable) vibration. From there using the 3 buttons on the side of the PT, you can dismiss or action the notification. Actionable notifications are great in Android, and the PT makes full use of them – mark an email as read, reply to a whatsapp message with your voice, or respond to a Facebook message with a ‘like’; it’s genuinely useful. The tactile buttons have a nice little click to them, and make using the watch a breeze. No more fiddling with a tiny touch screen trying to swipe up, down, left and right. Using the Pebble Time app on your phone you can browse and download apps and watchfaces. The PT is fully compatible with all original Pebble apps and watchfaces, but obviously you’re going to want to make use of that colour screen when choosing a watchface! The store already features some great ones, with more arriving every day. Apps actually offer some great functionality on the PT. 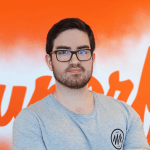 There’s plenty of reliable fitness tracking apps such as Misfit and Plexfit, which turn the PT into a fully fledged fitness tracker, including step tracking, calorie burning estimations and sleep tracking. GymTimer is a personal favourite of mine – it lets you set custom timers for doing sets of weights at the gym. Open the app, do your set, hit the middle button when you’ve finished a set then the PT will vibrate when you have 10 seconds left of rest, and vibrate strongly when your rest period is up. It’s genuinely useful for regular gym goers. There’s even simple games such as a Flappy Bird clone named Tiny Bird. The PT features built in remote music control, but Music Boss is well worth the $3 asking price; it offers advanced functionality such as album art being displayed on the PT, and music controls automatically switching to whichever was the last active media app on your phone. 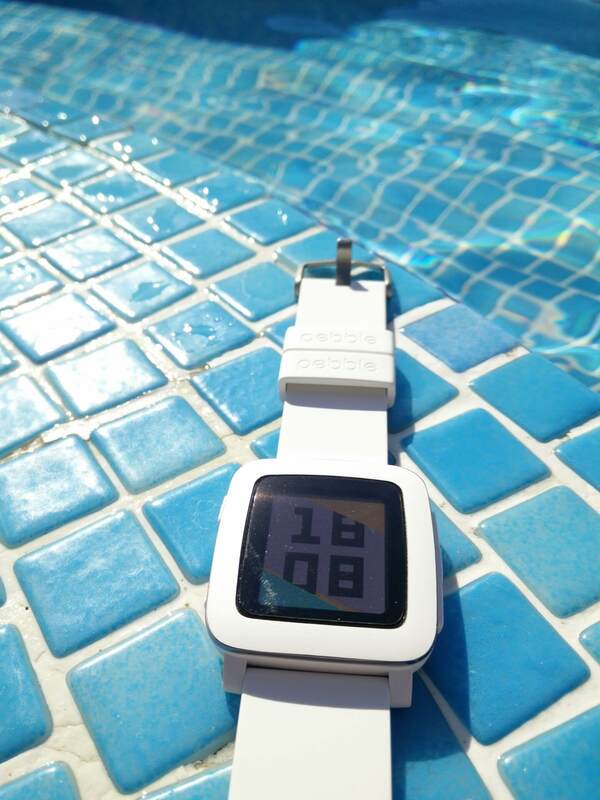 The new Pebble OS 3.0 which debuts with the PT is snappy and simple to use. From the watchface hitting the middle button takes you to your app drawer where you can open any apps, settings, change watchfaces or view any missed notifications. Hitting down or up on the watchface will scroll through your previous or upcoming calendar events. It all syncs up with whichever calendar your phone is set up with, and makes viewing upcoming events incredibly easy. The whole OS oozes with charm, transitions animate smoothly and the quirky design style is sure to make anyone smile. The PT has a lot of personality, something that can’t be said about other smartwatches on the market. My first week has been incredibly positive with the Pebble Time. From a basic functionality level it just performs downright better than Android Wear does currently. The screen isn’t perfect due to unimpressive low light visibility, but being always-on means I can easily glance at my watch to read a notification or view the time. The battery life is sat at 20% currently after a full 7 days of use which is really impressive, although I have been turning it off when I sleep so far. The amount of high-quality colour watchfaces is currently fairly small, but considering Pebble Times have only been on consumer’s wrists for a few weeks it’s to be expected. After my first week with the PT I wholeheartedly recommend considering the device if you’re in the market for a smartwatch. Nice review, although I think you may be missing a trick or two by not keeping it on whilst you sleep. Vibrating alarm and sleep tracking comes to mind. Thanks Peter! Sleep tracking is definitely something I’m going to start experimenting with once I’m back in the UK. Hi, I’m concerned about the color I’ll purchase, I love the white but I’m worried about how dirty can get after some use. What about scratches? Have you got any in your first days? Thanks, your review made feel totally sure about buying the Pebble Time. No signs of dirt or scratches on mine so far. The silicone strap seems like it would be quite challenging to get dirty – marks rub off easily! I’ve got a screen protector and a white matte bezel skin on mine which have worked great for protecting it so far, both were from GadgetWraps. I believe they’ve just released a transparent bezel skin too if you didn’t want to alter the look of your PT! Great review! I’m impatiently waiting for my Pebble Time Steel to arrive next month and your positive experience with the regular Pebble Time is reassuring. Are you getting a Steel to review later as well? Thanks! I don’t currently plan to. I was tempted to back the kickstarter tier which included both but I resisted.